It takes a VILLAGE to do what we do. We always need volunteers to help us fulfill our mission. Please click here and fill out the contact information and someone from our office will be calling you soon!! If you want to volunteer for a specific event, follow the link below and find the specific volunteer sign-up there. We have great volunteers who feel they get back as much as they give. 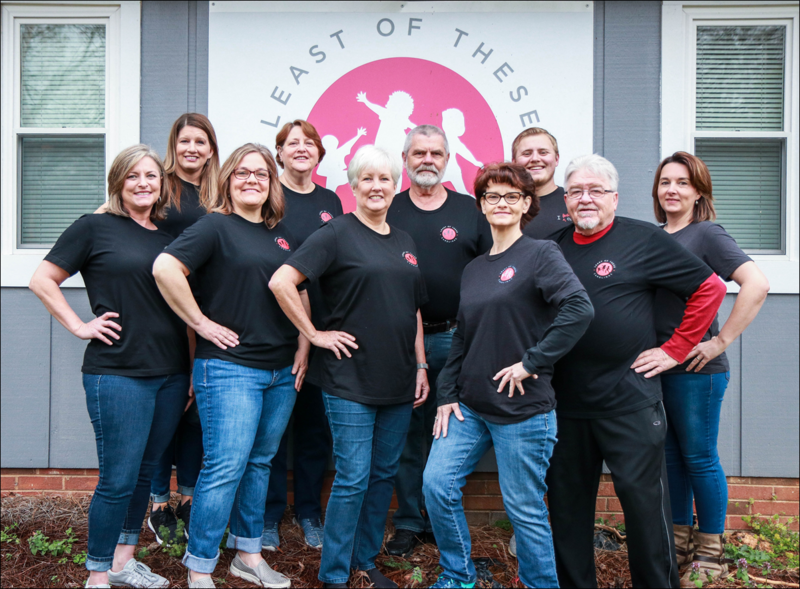 Here are what some of our volunteers say about volunteering with Least of These Carolinas. If you have questions about volunteering please email or fill out the online form. Someone will be in touch with you soon!